they’d want to jam, and I invited Dave to see if he wanted to participate. We ended up doing two shows over that summer at Schultz park – we would rehearse over at Eric’s basement. 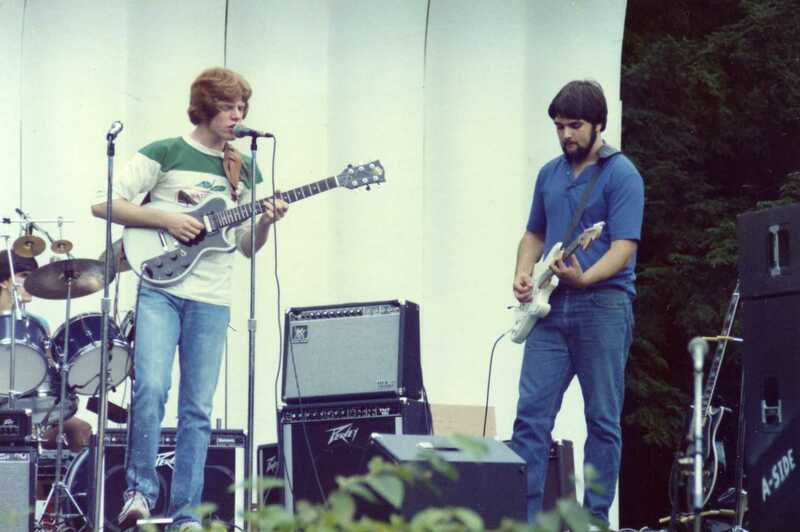 I believe Dave picked up his first guitar at 15 around there. 1985 he had been playing 3 years, I love the All Along the Watch Tower, it’s raw and unpolished but you can hear the talent in the solos. You’ve done a good job so far with this site Kyle. Some days for no reason I will just have tears roll down my face when I think of him. Keep ripping Dave or otherwise R.I.P. We miss you.